Assessments !!! | THE PORTICO..
Muthiah Sriram a Biotechnology engineering student who have just started blogging seriously. 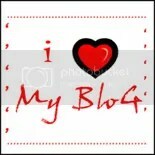 all his blogs are vivid narration of life incidents or something that is happening around him. Assessments are a set of rituals solemnized by the faculties of a college which happens for a period of one or two weeks every month to test one’s patience in attending the classes they take ,ones ability to steno graph(jot down points they say in lightning speed),one’s ability to lift weights(relating to size of the books),ones ability to be defiant to sleep(the previous night),one’s ability to memorize all the thousand evanescent structures. Formulas,loops,protocols,and cycles (most often than not our memory fails us when it comes to memorizing structures and formulas), one’s ability to compete with others to borrow the last available book in the library and last but not the least , ones ability to write gibberish in certain subjects where answers would be two pages and its message not more than a line. “I should start at least tomorrow”. Overcoming all attractive distractions they sit to study and with limited preparations they wobble into assessment week with an intention of super ceding the low marks they got in the previous test cycle. A week during which the activity levels in face book reach unprecedented heights with many of them posting the status of how much they have read and the face book chat groups serve as the class room where doubts are cleared. Demand for people who have already finished preparation all of a sudden increases as they would be surrounded by people who ask to teach them what they have read in the books with all these engineering book speaking Greek and Latin literally and following them especially on the last day is an daunting task. To cut it short, its a week of sleepless nights,midnight coffee,late night calls,always active social networks and chat rooms ,with students slogging over a 5 kg book throughout the night and get into the exam hall looking dull,unshaven,with dilated eyes ,sleep deprived like well dressed zombies,where they are made to sit with a one metre spacing with three invigilators in a hall not giving a least chance to copy.After all the hard tasks they are put into shouldn’t the students be given this advantage of siting next to each other.cruel world! !And after all the barriers build by the faculties certain students go breaking the walls and manage to copy !! On the last day of the assessment after the last test,the class would experience a mixed emotion with few bright faces indicating their good run in the test cycle and few dull faces (reason known).And there are always certain people who all wear a fake smile even though they dint perform well as if they never care but their hearts feeling the heat could be felt if observed carefully. The most hard phase of the post assessment period is when the professors give out the answer sheets and things get worse when our parents find the answer sheets lying inside an old book . After all the test cycles ,the practicals and end semester come hopping in to further test the resistivity of the students..exams get over —->grades sheets has come. Then asks a Student :how important are these assessments and GPA in our Career ? how much GPA does one require to get a placement in good university sir?? Faculty: all these assessments and GPA don’t play a major role..its your projects,extensive research ideas, and several competitive exams such as GRE,GMAT,IELTS, TOEFL ,CAT, GATE which influence your career and you need interpersonal skills ,aptitude and leadership and extra curricular to fetch you a job. Student:them why the heck are these assessments and exams kept if they are not gonna matter much???????? ?then why don’t you teach us what is needed rather than some vague stuff which is not gonna help us?? pls ppl..lets set our path right! !not with unwanted garbage..engineers are not super humanoid computers who can handle multiple tasks of doing good at college,at competitive exams,and at extra curriculum. this is a super funny post! assignments are often so much a chore to be just mechanically carried out! I am so glad I am out of that life!